Bobby does a fabulous job in all his novels of navigating his heroes away from the disaster and toward a place they think they will be safe. Book two of this series takes our heroes on an odyssey away from Yellow Stone. A wrong so right. An eye for an eye. The story is very dark, all stories of revenge are dark. Great story, well read. 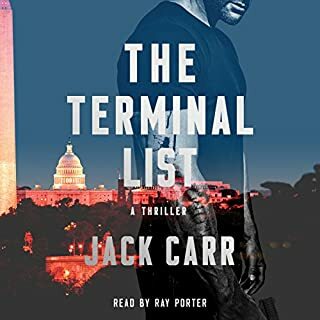 Thank you for the story Jack Carr; I hope you write more. Thank you for your service. 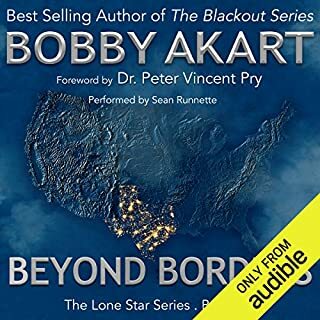 Akart’s Lone Star series is his best his work to date. Book three picks up where Beyond Borders left off, with nuclear missiles lifting off. This book chronicles the journey of the Armstrong children’s trek across post apocalyptic western America. 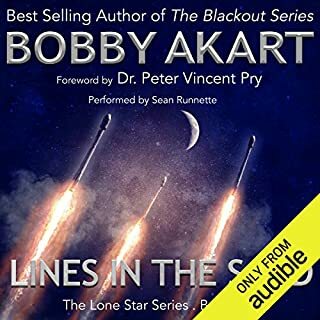 Book two of the Lone Star series is Bobby’s best book to date. Book one introduced the characters and set the stage. Book two picks up in the middle of the EMP disaster, with the main characters in Canada, North Korea, Texas and DC. 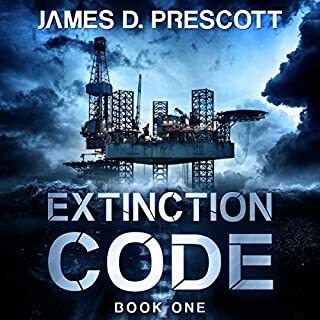 Fans of international intrigue, apocalyptic science fiction, political trillers and adventure drama will love the Lone Star series. I like the subject matter, the action, and the performance, but the anti-military under tone turned me off. 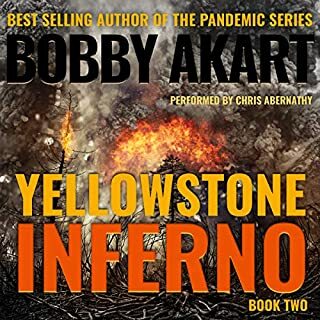 Another great series from Bobby Akart. 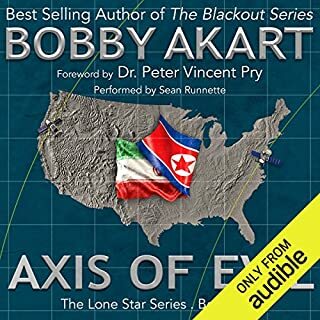 Author Bobby Akart the book is awesome. I love the characters. Sean did a great job with the reading. I’ve listened to several of his readings, and it always takes me a minute to adjust to him. He did a nice job with the character voices and made the seem very real. I look forward to the next book in the series. Btw, I’ll leave this review on audible too. Our volunteers are looking great; I hope we do well in the SEC tournament. There is no such thing as an ending, just a new beginning. Throughout the millennia, extinction has been the norm and survival, the exception. When faced with the hour of departure, will mankind fight to survive? Not only was there a patient zero, there was also a last patient. As the world falls into anarchy the worst comes out of some and best out of others. Government disaster plans are used to serve the ambitions of the crooked political leadership. Our heroes find themselves caught between trying to do good in a crooked system and doing what's best for them, their new family, and their country. This book will leave you shaking your head at the depravity of men, and wanting the next book to be released. 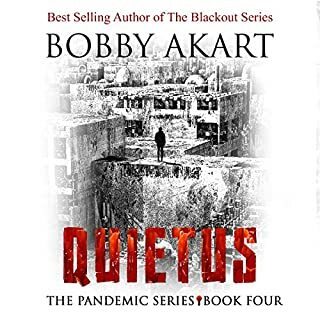 Akart does a fantastic job of showing both the deadliness of the disease and the ineptness of political leaders effort to contain the disease. 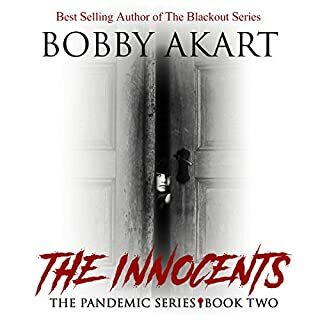 In The innocents, we the story focus on Hunter and Mac as a couple, as they continue to search for the terrorist and a vaccine. You will want to wash your hands. 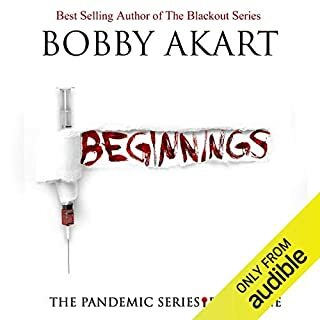 Would you consider the audio edition of Pandemic: Beginnings to be better than the print version? Yes, the readers do a great job. I felt like the readers where very in character. The "beggings" sends time developmenting and laying out the deadliness of the virus. If you love medical thrillers, Counter-terror adventures, and end of the world books, you will love the Pandemic series. What does John David Farrell and Kris Adams bring to the story that you wouldn’t experience if you just read the book? Yes, the moment when the ms14 gang attack Hunter and Max. Really sad and depressing. Good story though. 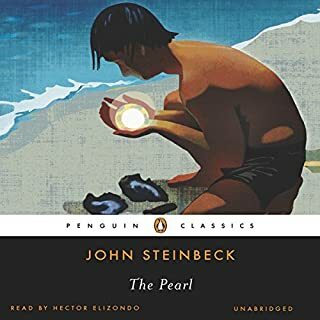 I would recommend to people who don't mind a sad story.